Moving away from all of the depressing XOOM and Thunderbolt news for a minute, we wanted to make sure that all of the Android enthusiasts in the building knew about a new social network that launched late last week called i am android. Started by one of the rocks to this Android community, Eric Richardson (@richie681), i am android is a great place for addicts to connect with other addicts. The service is free, runs similar to sites like Facebook, but really stands out with its front page chat box. If you ever wanted a place to have quick conversations with others just like you, then this is a great place to start. And of course, you can set up your own page, feature articles from this site (kidding! 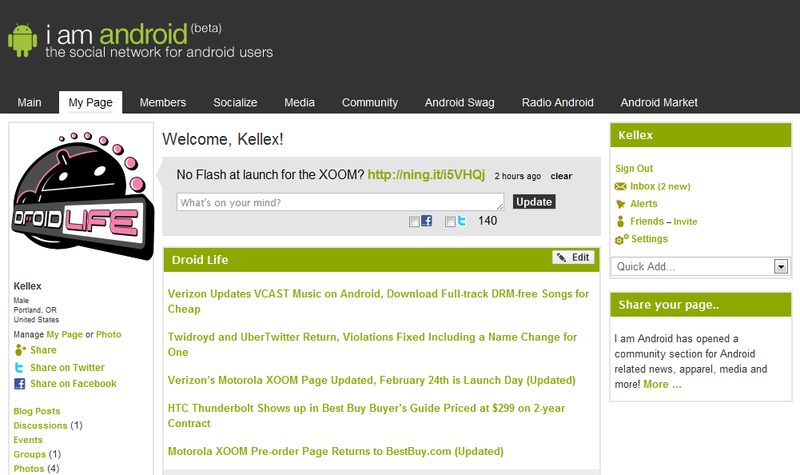 ), post your Android pics, and share them with the community. Sign up now and help this new Android venture succeed! Oh, and be sure to check out the DL page and “friend” us!